Financial analysts predict Apple will launch three new iPhone models this year. One of the models could be a new lower-cost iPhone with facial recognition and an edge-to-edge screen. It could cost between $A850 and $A1,000, KGI Securities predicts. Apple customers who like the iPhone X’s facial recognition and edge-to-edge screen but were turned off by the $A1,579 price tag may have additional options at lower prices this fall. 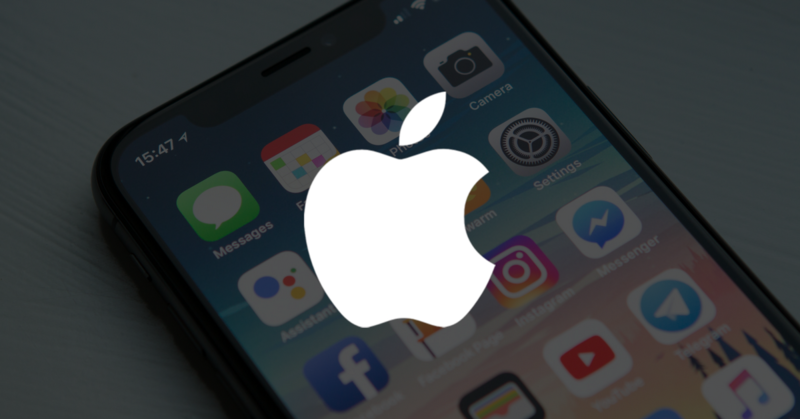 Apple is working on a lower-cost iPhone with some of the iPhone X’s best features for a launch later this year, according to the KGI Securities analyst Ming-Chi Kuo. The lower-cost iPhone could have the same facial-recognition sensor as the iPhone X, as well as an edge-to-edge 6.1-inch LCD screen and no home button. Kuo predicted in a note on Tuesday that it could cost between $A850 and $A1,000 – significantly less than the iPhone X, but more than the iPhone 8 models. However, KGI Securities says to expect some trade-offs with the lower-cost iPhone, like a single-lens rear camera rather than a dual-lens one. KGI Securities believes it will have an older LCD screen, whereas the iPhone X comes with a newer OLED one. And Kuo predicts it will have an aluminium casing, which is less premium than the stainless steel on the iPhone X. But KGI Securities predicts the lower price may end up making the new iPhone the best-selling model with over half of new-lineup shipments. The low-cost device isn’t the only new iPhone that KGI Securities predicts Apple will launch. Apple could be preparing a new version of the iPhone X with better components in the same 5.8-inch body. And there could be a so-called Plus version of the iPhone X with a massive 6.5-inch OLED screen. Apple typically launches new iPhones in September. The KGI Securities research, which hasn’t been confirmed by Apple, suggests the company may pull a trick it last tried in 2013. In 2013, Apple introduced a lower-cost iPhone, called the iPhone 5C, instead of selling the previous year’s model at a discounted price. It was a sales disaster – Apple CEO Tim Cook even acknowledged the device sold poorly, even more so than the company expected. Demand for the colourful iPhone “turned out to be different than we thought,” Cook said in 2014. It seems Apple may try the iPhone 5C gambit again. KGI Securities predicts Apple may discontinue the iPhone X instead of selling it at a lower price after the new iPhones come out. The research found that the new lower-cost iPhone could help Apple gain market share in China, which was also the goal of the iPhone 5C. 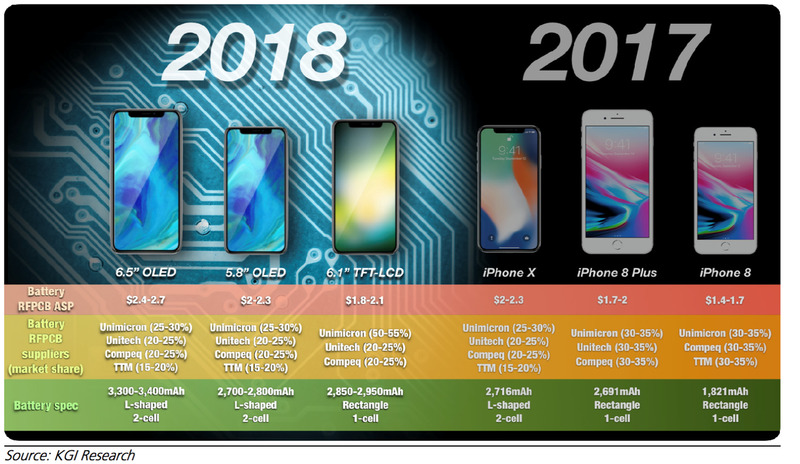 “Lowering iPhone X’s price after the … new models launch would be a negative to product brand value given 3D sensing and OLED display are features of the new high-price model,” Kuo wrote in a note on January 22. KGI Securities’ Apple Insight research, which often accurately predicts future Apple products, is targeted toward investors who might want to invest in companies that sell Apple computer parts and other components that go into iPhones and Macs. Some companies that could get a lot of business from the new low-cost iPhone include Pegatron and Wistron, which both currently assemble Apple products. KGI Securities predicts that Pegatron will get the “lion’s share,” or 60% of the assembly orders, and that Wistron will manufacture only 10% but have a chance to raise that share.